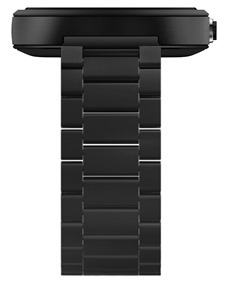 At the $249.99, you can still get the stainless steel or black watches with 22mm bands in "stone" or black, respectively. 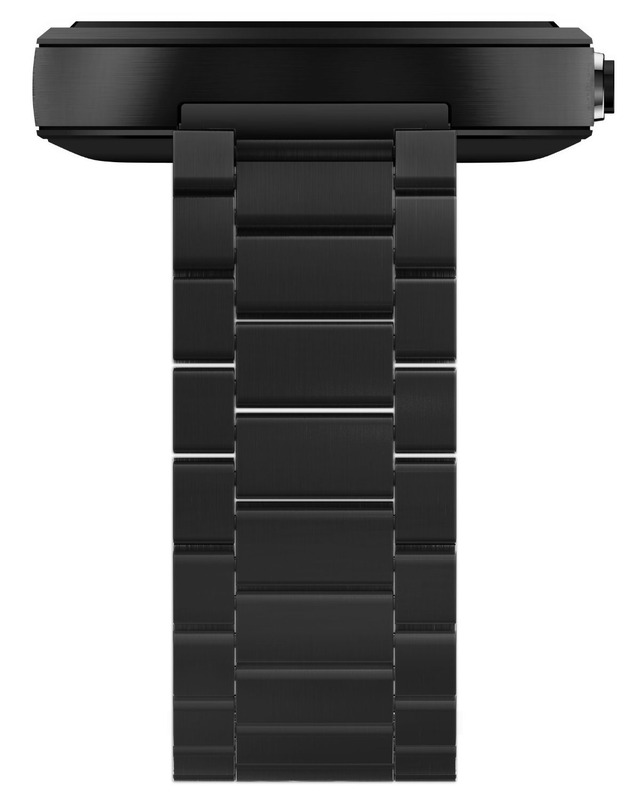 The new metal options cost $299 for 23mm black or stainless bands matched to the watch, and they're both shipping now. There are also two 18mm band options (ostensibly for women, but not labeled as such) in "gold finish" and stainless steel. 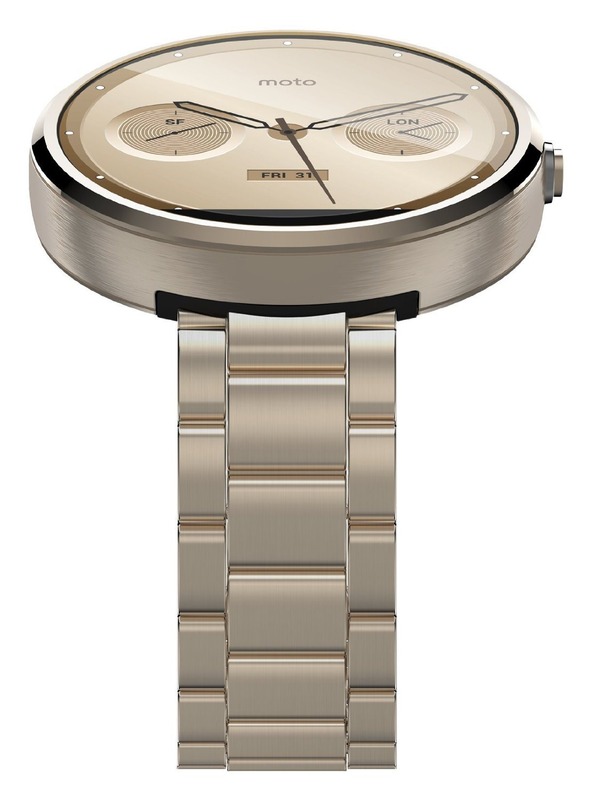 The gold band is matched to a gold watch. 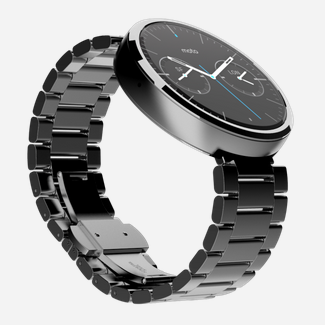 These cost $329.99, despite being noticeably smaller bands, and they're "coming soon." 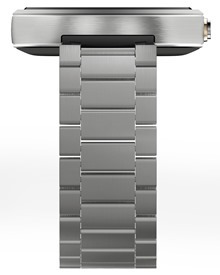 Note: the millimeter measurements above refer to the width of the band itself, not the lug and band connector. 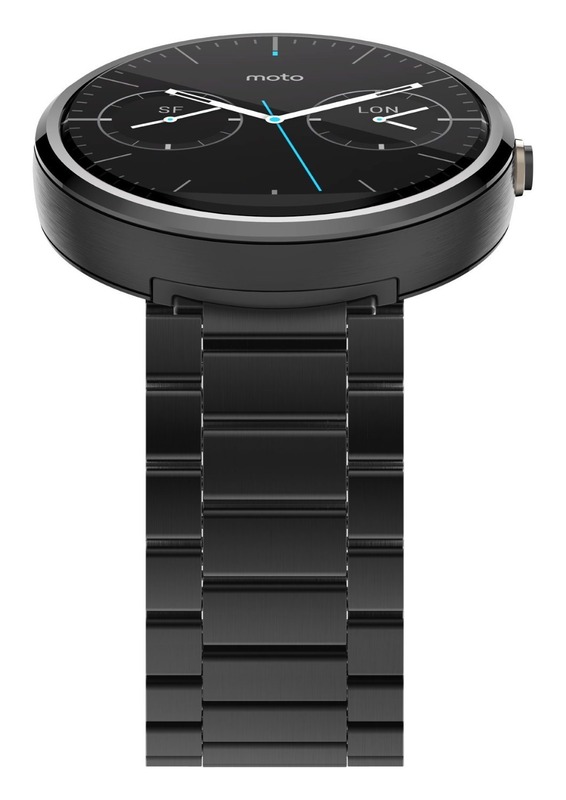 Whatever Moto 360 you buy, it should work with most standard 22mm watch bands. 18mm "gold" band, above, 23mm steel band, below. 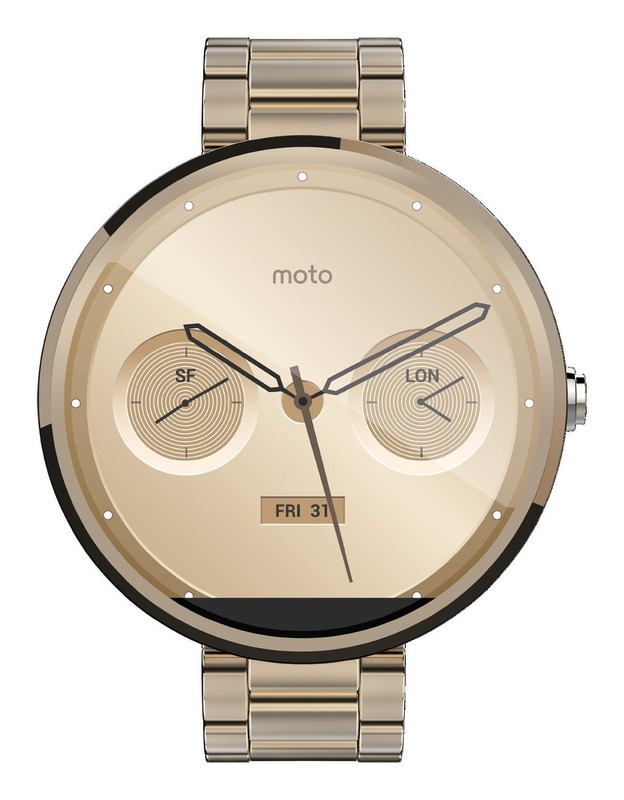 There's no sign of the 23mm gold finish or dark brown leather seen previously on Amazon. In fact, none of these are showing up anywhere except Motorola's site. 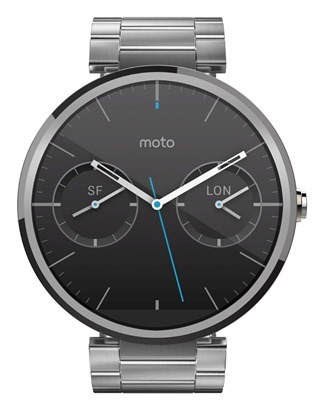 Neither are any new metal bands for those who have already bought a Moto 360. 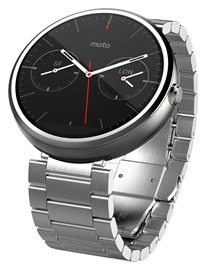 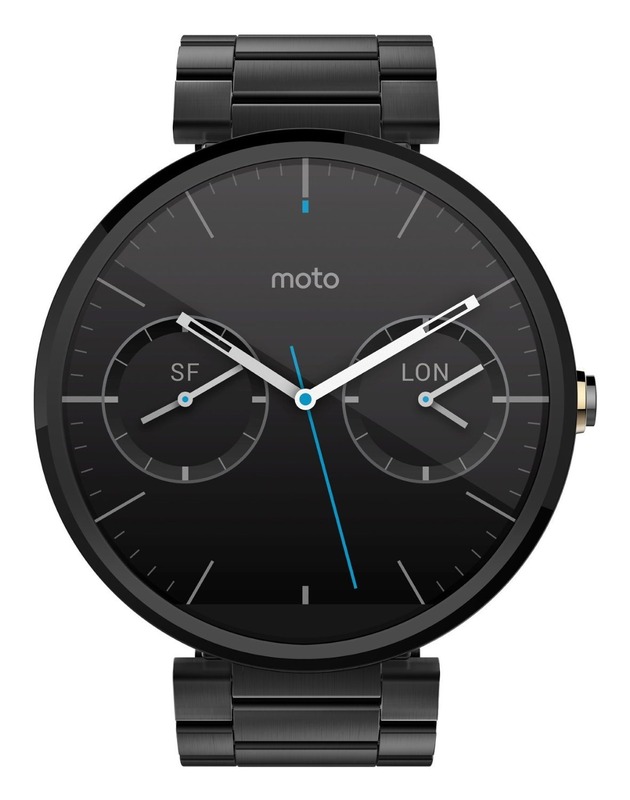 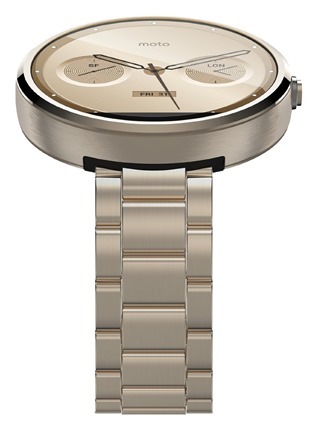 Motorola also announced that new official watch faces will be coming soon, along with a Moto Body Android Wear app. 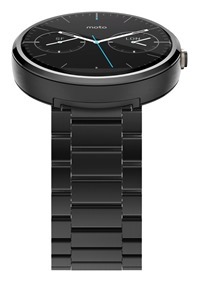 Both the new faces and the health app will be delivered via the Motorola Connect app, which hasn't been updated yet.